France, 2010, 84 minutes, Colour. 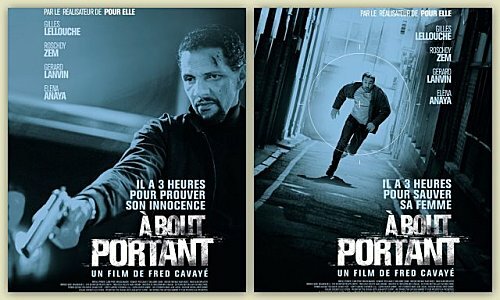 Point Blank is a very good French action thriller. And it has a very brief running time. It is set in Paris, has an opening sequence with a long chase and accident scene, has some domestic scenes with a nurse’s aide and his pregnant wife. The victim of the accident is wanted by corrupt police and he makes his escape with the help of the aide. What follows is a police investigation, chase by the corrupt police, especially in the Paris metro. There is a final confrontation, and a satisfactory solving of the case. The film boasts a very strong French cast. 1. The popularity of police action thrillers. The quality of this film? Crime, hostage taking, corrupt police, investigations? 2. The Paris settings? Streets and tunnels? The details of the metro? Train tracks? Police precincts? Warehouses and hideouts? 3. The plausibility of the plot? The credibility of the characters? Of the murder? The frame up? The role of the police? The hire of the criminals? 4. The opening chase? The pursuit? The police? The thief and his brother? Phone calls? The accident? His being taken to hospital? 5. The scenes with Samuel and his wife? His concern? The pregnancy? As role of the hospital, studies, hopes to become this? His being treated badly by the doctors? His concern for the patients, discovering the intruder? Questions by the police? 6. The threats to Samuel? The phone call? The abduction of his wife? And being imprisoned by the brother? 7. Samuel and his taking the victim? Attacking the police? Exiting the hospital? Public transport? The phone calls? His accompanying the prisoner? The attack in the street? On the run? Seeing his wife, running away? The police force, the different squads and responsibilities? Werner and his group, the pursuit of Samuel, the revelation of the truth, the businessman and his killing, his greedy son, Werner and the murder, everything recorded, on the USB, the need to recover it, the confrontation of the thief, his being taken and torturedt, Samuel and his setting the fire, the upset, the reversal of roles, the need for Samuel to be killed because he knew the truth? 8. The death of the policewoman investigator? The attempted frame up? 9. Samuel and the escape, going to the office of the murdered businessman? The search for the memory stick? Turning the tables on Werner? The questioning of Marconi, the killing despite Samuel, the set up for Werner? 10. Samuel, in the precinct, the police confused by the many calls, searching for his wife, the policewoman and for attempting to kill the wife, the rescue, police taking Samuel, his giving them the memory stick, the thief hiding the memory stick on his mobile phone? The wife and the corrupt policewomen? The attempt on her life, Samuel’s rescue. His being taken by the police. Watching the video and confronting Werner? 11. The hospital, the birth, happiness? 12. Seven years later, the new television news, the hanging of Werner? The thief and his vengeance? 13. Popular ingredients, interesting we done? Issues of crime, corrupt police, innocent victims?